It's my conversation starter at least 4x a year with my family. Some might think that sentence ends with ideas for a magnificent birthday party or perhaps an incredible present... but really? I'm just trying to talk about dessert. You see, for me, birthdays are incredible dessert opportunities. No one bats an eye when you suggest pulling together an elaborate dessert creation when someone's birthday is near - so I milk birthdays for all they're worth. To the point where, even though I don't love celebrating my own birthday (I'm a lover of giving who is absolutely positively terrible at taking), I'll celebrate it just for cake. Or cheesecake... or ice cream... or cookies... or whatever I decide I want to make that year. Just last week was Jesse's birthday and even though he said he didn't want cake (WHAT KIND OF MONSTER DID I MARRY?!?!? ), I just pretended like that conversation never happened and instead went on a mission to create the ultimate birthday treat. 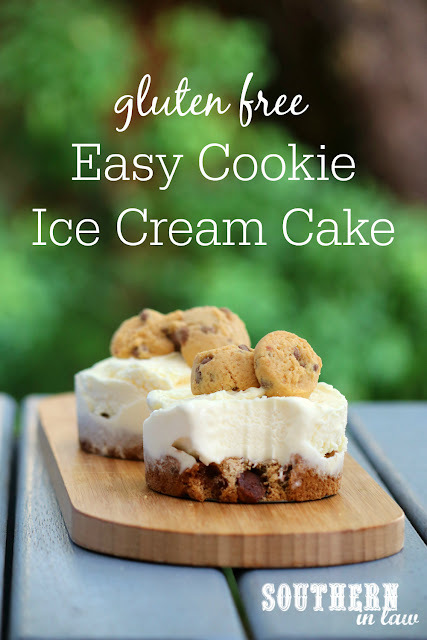 But I did kind of have to tie it back to Jesse because, yaknow, it was his birthday and all and this wasn't all about me wanting to eat dessert (just 99.99999% of it 😉) and so I decided I would combine his favourite treats into one delicious dessert creation. If you've been reading SIL for a while, you'd know Jesse is a cookie monster. In fact, the first time he came to Australia he made himself sick after eating an ENTIRE BATCH of my infamous chocolate chip cookies. It was at that moment that I realised either a) I was a really good baker or b) I needed to impose strict cookie rations on this boy or he'd surely die before the two weeks ended. I went with b) and have been rationing cookies ever since.. But back to this recipe.... 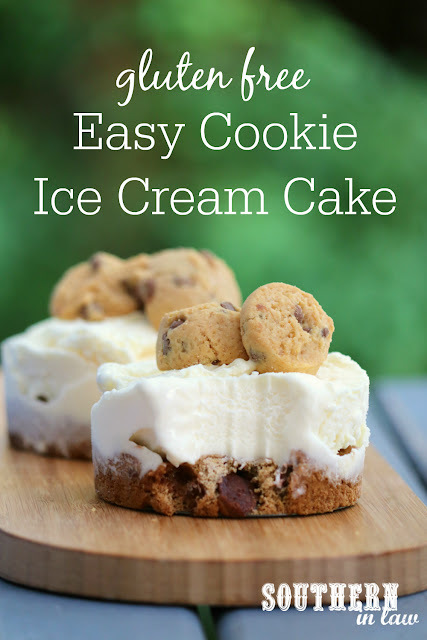 Since Jesse is a cookie fiend who also really really loves ice cream - I decided I'd combine the two to create the ultimate birthday treat; a cookie ice cream cake. And ohhhhhhhhhh, my friends - the ultimate birthday treat was created. Whilst it's stupidly simple to make, this cookie ice cream cake is beyond delicious and has become a new favourite of our family. "Krissssssssssstyyyy! When are you opening up your shop?" I looked at Jesse. "When am I going to hop? Something about hip hop? Electric shock? What did they just say?!" Lightly grease 12 individual cheesecake tins* or a silicone muffin tin or lightly grease and line a 8" cake tin with baking paper and set aside. In a mixer, cream your butter and sugar until light and fluffy, scraping down the sides a few times to ensure everything is incorporated. Add your egg and mix to combine. Add in your flour and baking soda, mixing to combine. Stir through your chocolate chips until evenly dispersed. Chill your cookie dough for around 30 minutes or until firm. Divide your cookie dough amongst your tins, pressing the cookie dough out to form an even layer. Bake your cookie bases for 8-9 minutes or until your edges are lightly golden and the cookie is slightly firm to the touch. Leave your cookies to cool in the tin completely. 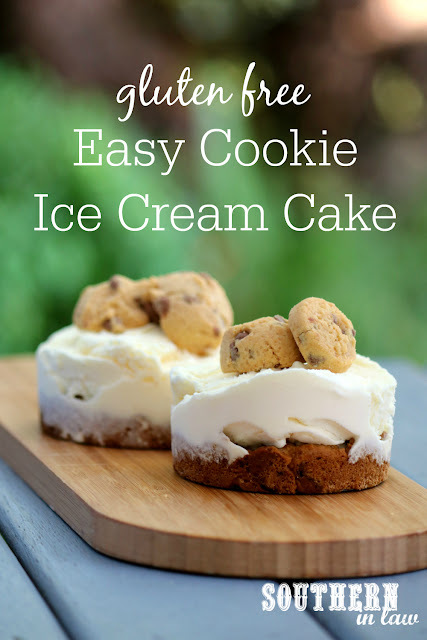 Once your cookies are cool, add your ice cream - pressing the ice cream down into the cookie base to form an even layer. 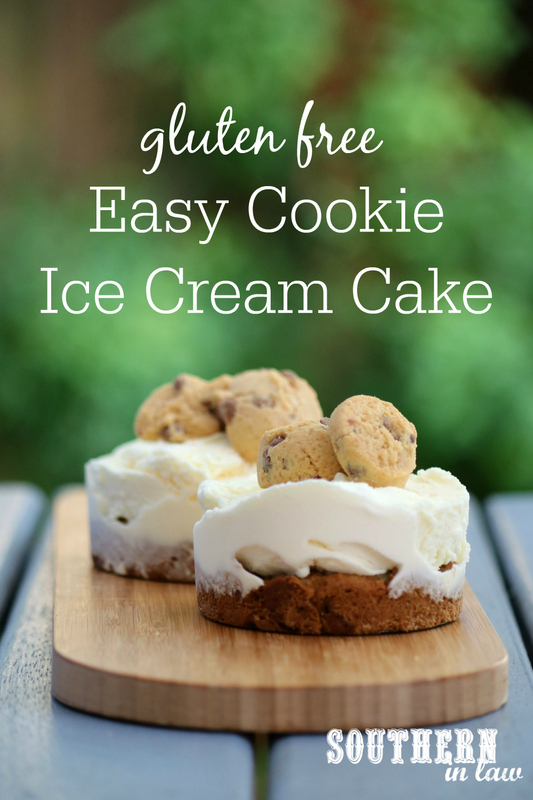 Freeze your cookie cakes for at least an hour or until firm before removing them from the tins. If desired, top your cookie cakes with some mini cookies (I made an extra batch of cookie dough to make the cookies) or a drizzle of melted chocolate. Below are similar tins to what I used. You want to use either a loose bottom tin or a silicone muffin pan as this will make it easier to get your cheesecakes out. Click below to shop or find out more. But tell me, what was your last birthday cake?